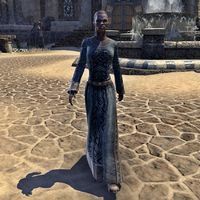 Abrar is a Redguard commoner found in the city of Sentinel between the fountain in front of the palace and halfway along the overpass to the northwest. When spoken to, she will say "Have you been to the palace yet? It is a nest of asps and jackals. If you are looking for the truth, you would be better served by speaking to the people." This page was last modified on 27 July 2018, at 00:38.